Last week I joined U.S. Attorney Robert Troester, Federal Judge Erwin, Oklahoma Solicitor General, Mithun Mansinnghani, and other distinguished guests on the Sovereignty Symposium’s Panel discussion of criminal law. The discussed centered on criminal jurisdiction on “Indian Land” and the Tenth Circuit Court of Appeals decision in Murphy v. Royal. In Murphy, the Tenth Circuit overturned an Oklahoma State Court murder conviction in a death penalty case and said the state does not have the authority to try a criminal defendant in state court when they are an Indian and the crime was committed on “Indian Land”. 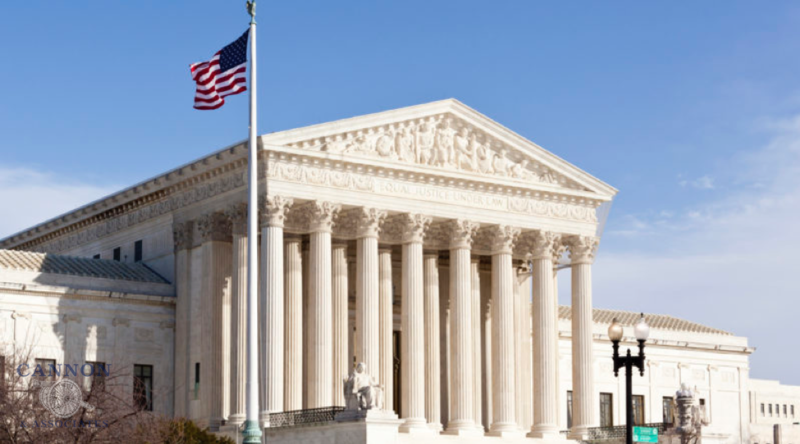 The State of Oklahoma appealed the decision to the United States Supreme Court and multiple interested parties filed amicus briefs asserting what they think is the proper outcome. The Supreme Court has granted certiori, meaning the Justices will hear the case and decided the future of not only the prosecution of a death penalty case, but also, and more importantly the future of criminal jurisdiction in potentially all “Indian Land” in the United States. “Indian Land” due to treaties and a variety of Federal legislation is a highly amorphous term, which includes not only reservations, but a litany of other types of land ownership. The map above depicts the late 19th Century landscape of Oklahoma. 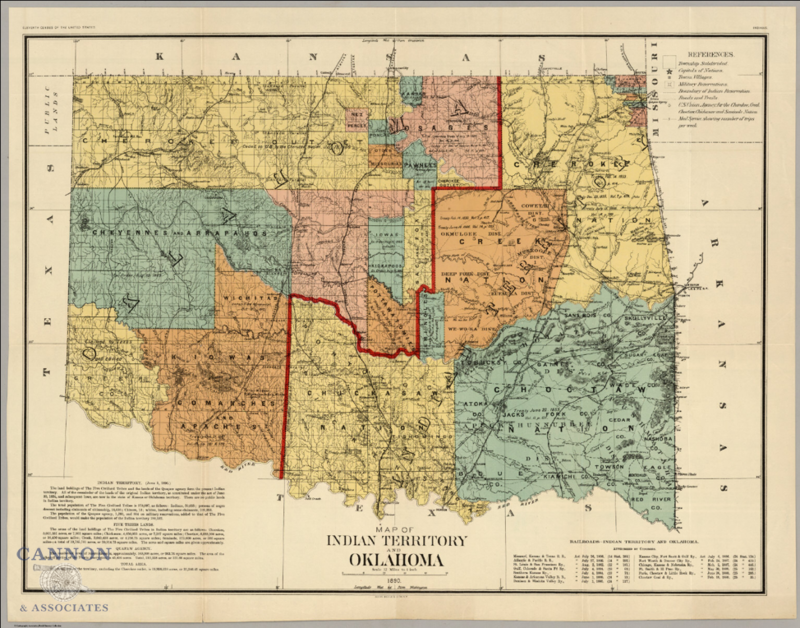 The Five Civilized Tribes along with many other tribes have some level of claim to a huge part of the State of Oklahoma and other states, which are composed of some type of “Indian Land”. and the Court’s pronouncement may result in thousands of appeals and disputes concerning existing inmates and many more to come in the future. The Court’s October term will be watched by many and the Court’s decision will steer the course of criminal jurisdiction in the United States for many years to come. I was honored to participate in this panel discussion of such an exciting issue. Please read my article, which was published in the 2018 Sovereignty Symposium book for a more detailed look into the issues before the court.